See also my Affiliate Disclosure page. Welcome to the WISE OWL FACTORY web site located at “www.thewiseowlfactory.com” (this “Site”), which is owned by CAROLYN WILHELM (Carolyn Wilhelm). Please read this page carefully before using this Site. By accessing or using this Site in any way, you agree to and are bound by the terms, conditions, policies and notices contained on this page (these “Terms”), including but not limited to conducting this transaction electronically, disclaimers and a choice of Tennessee law. All contents of this Site are: ©2018 CAROLYN WILHELM. All rights reserved. This Site contains copyrighted material, trademarks, service marks, logos, trade dress and other proprietary content, including but not limited to text, excepts from a book, photographs, buttons, images, video and graphics, and the entire selection, coordination, arrangement and “look and feel” of this Site and the content are copyrighted as a collective work under United States copyright laws (collectively, the “Content”). Except as provided in these Terms, you may not use, modify, republish, frame, license, transfer, post, transmit, create derivative works from, or otherwise exploit any Content from this Site, in whole or in part, without the express permission of CAROLYN WILHELM. Reproduction, distribution, republication, and/or retransmission of material contained within this website is prohibited without prior written consent of CAROLYN WILHELM. Any other use, including the reproduction, modification, distribution, transmission, republication, display or performance, of the content on this site is strictly prohibited. Nothing contained in these Terms shall be construed as conferring any other license or right, express or implied, under any of CAROLYN WILHELM‘s intellectual property rights. The information and materials made available on this website have been prepared by CAROLYN WILHELM for general informational purposes only and should not be construed as medical advice on any subject matter, or to answer specific medical problems you may have. No recipients of content from this site, clients or otherwise, should act or refrain from acting on the basis of any content included in the site without seeking the appropriate medical or other professional advice on the particular facts and circumstances at issue from a doctor licensed in the recipient’s state. The content of this website contains general information and may not reflect current medical developments. CAROLYN WILHELM expressly disclaims all liability in respect to actions taken or not taken based on any or all the contents of this website. While we try to ensure the accuracy of the information on this website, we cannot guarantee that all of the information is accurate or complete. You should be aware that medicine is constantly changing and varies by circumstance. Therefore, information on a given medical or medical issue may not be current or apply to your particular situation. You should not act or refrain from acting upon this information without seeking the advice of professional doctor in your geographical area. Viewing and use of any of the information on this site does not create an attorney-client relationship between you and CAROLYN WILHELM. While most of the lessons and activities on Wise Owl Factory are to be used with children Pre-K through grade six, this Website is not intended for children under 13 years of age. No one under age 13 may provide any information to or on the Website. We do not knowingly collect personal information from children under 13. If you are under 13, do not use or provide any information on this Website or on or through any of its features/register on the Website, make any payments through the Website, use any of the interactive or public comment features of this Website or provide any information about yourself to us, including your name, address, telephone number, email address, or any screen name or user name you may use. CAROLYN WILHELM does not author, edit or monitor these Linked Sites, and is not responsible or liable for (a) the availability of or content provided on such Linked Sites, nor does inclusion of any link imply endorsement of the Linked Sites by CAROLYN WILHELM or vice versa; (b) third party content accessible through such Linked Sites; (c) any loss or damage whatsoever you may incur from dealing with any Linked Site; or (d) your dealings with any third parties found on or through this Site, the payment for and delivery of goods if any, or any terms, conditions, warranties, or representations associated with such dealings. You bear all risk associated with the use of such Linked Sites, third party services, and your correspondence or business dealings with third parties found on or through this Site. The Digital Millennium Copyright Act of 1998, found at 17 U.S.C. § 512 (“DMCA”), provides recourse for Carolyn Wilhelm’s of copyrighted materials who believe that their rights under United States copyright law have been infringed upon on the Internet. Under the DMCA, the bona fide Carolyn Wilhelm of copyrighted materials who has a good faith belief that their copyright has been infringed may contact not only the person or entity infringing on their copyright, but may also contact the designated agent of an Internet service provider to report alleged infringements of their protected works, when such alleged infringements appear on pages contained within the system of the Internet service provider (“ISP”). The Carolyn Wilhelm of this website and the ISP are committed to complying with international trade law, international trade practices, all United States laws, including United States copyright law. Upon receipt of a properly filed complaint under the DMCA, the Carolyn Wilhelm and/or the ISP of this website will block access to the allegedly infringing material. The website Carolyn Wilhelm and/or the ISP will forward a copy of the notification of claimed copyright infringement to the alleged infringer. Anyone who believes in good faith that a notice of copyright infringement has wrongfully been filed against them, may submit a Counter notice to the website Carolyn Wilhelm and/or the ISP. CAROLYN WILHELM is committed to upholding fair and safe employment and workplace conditions. To achieve this, we build meaningful partnerships with those who share our values, and work to develop sustainable and long-lasting improvements that extend through our supply chain. We believe that a well-managed and healthy supply chain is integral to building a stable, successful business. CAROLYN WILHELM’s Code of Conduct is communicated to and signed by all our supply chain partners. This Code of Conduct was developed using established international frameworks, including the International Bill of Human Rights and the ILO Fundamental Principles and Rights at Work — such as the Forced Labour Convention (No.29), Abolition of Forced Labour Convention (No.105), Minimum Age Convention (No. 138) and Worst Forms of Child Labour Convention (No. 182) amongst others. In addition, the Code of Conduct draws from the ETI Base Code, recognized as one of the leading frameworks in the global beauty industry. CAROLYN WILHELM’s Corporate Responsibility department supports the implementation of our Code of Conduct. Based on a risk analysis of the product supply chain, CAROLYN WILHELM has researched select factories and countries where priority is placed on monitoring. Monitoring is carried out by independent specialists and can be announced or unannounced (determined on a case-by-case basis) and will always include interviews with workers. When conditions at a factory do not meet our standards, CAROLYN WILHELM will work with the factory to improve them by providing a Corrective Action Plan. The factory is then required to demonstrate improvements within the timeframe given, and CAROLYN WILHELM will provide any support necessary to remediate any identified issues. Factories are graded according to the severity of the issues. In cases of critical non-compliances and if the factory is either unable or unwilling to make improvements, CAROLYN WILHELM may decide, as a last resort, to terminate the relationship. However, we will take care to ensure that the exit is responsible and does not adversely impact the workforce. CAROLYN WILHELM is conscious that certain employment conditions deeper in supply chains may represent a more significant risk of forced and trafficked labour. Our partners are only permitted to use subcontractors where prior written consent has been provided and the same monitoring process is applied to subcontractors. We ask that all partners confirm that any raw materials used in CAROLYN WILHELM Products are derived from sources that are compliant with local employment regulations. CAROLYN WILHELM is aware that only through developing and empowering our own employees can we effectively implement our values. Therefore, we have developed a training and education program to ensure key employees — particularly those who interact and have relationships with our factories — understand the risks associated with manufacturing offshore and are aware of the systems and processes in place should any issues be identified. This statement is made pursuant to the California Transparency in Supply Chains Act of 2010 (SB 657) and sets out the policies and processes at CAROLYN WILHELM to prevent the occurrence of slavery and human trafficking in our supply chain and other operations. CAROLYN WILHELM makes no representation of any kind regarding this Site, Content or any portion thereof, WHICH ARE PROVIDED ON AN “AS IS” AND “AS AVAILABLE” BASIS, WITH ALL FAULTS. CAROLYN WILHELM EXPRESSLY DISCLAIMS ALL WARRANTIES OF ANY KIND, WHETHER EXPRESS OR IMPLIED, INCLUDING BUT NOT LIMITED TO, THE IMPLIED WARRANTIES OF MERCHANTABILITY, FITNESS FOR A PARTICULAR PURPOSE, AND NON-INFRINGEMENT, AS WELL AS ALL WARRANTIES ARISING BY USAGE OF TRADE, COURSE OF DEALING, OR COURSE OF PERFORMANCE. Without prejudice to the generality of the foregoing paragraph, CAROLYN WILHELM does not warrant that this website will be constantly available, or available at all; or the information on this website is complete, true, accurate or non-misleading. We retain access to all personal information that we have collected from you or about you. Our product fulfillment company and email marketing companies also retain some of the data (for example your name and email are passed to our email marketing partner (Mail ChimpNewsletters) so we may send product confirmation and marketing emails). We completely deleted our subscriber list and started over after the new laws were enacted. 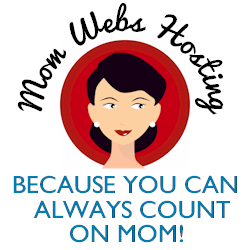 If you leave a comment on this website that information is stored at our hosting company MOM WEBS. That information includes your name, your avatar, your comment, the time you left the comment and your ISP address. You have the right to use our Site without consenting to marketing and communication services that we provide. We will inform you (before collecting your data) if we intend to use your data for such purposes or if we intend to disclose your information to any third party for such purposes. We always use the most recently submitted form to be your current consent status. If you are a registered user, but not signed in when you submit a form, we will not be able to use your saved settings so will deem your consent choice to be as per the form you submit at the time. You can exercise your right to prevent such processing by ticking certain boxes on the forms we use to collect your data. You can also exercise the right at any time by contacting us at cwilhelm@thewiseowlfactory.com. Like many websites, we use a very “cookies” to enable us to personalize your visits to our Site, simplify the signing-in procedure, keep track of your preferences, for marketing purposes and to track the usage of our Site. Like any business, we like to see if our visitors come from Google, Facebook, another site in order to better manage the business. We use Google Analytics as our analytics package. When we login we can see which pages on this website visitors visited, the paths visitors took, where they came from and how they left. We cannot see which website you visited after you leave us, however. The only way we could narrow down the information to any one individual is if only one person was on this website that day, and we knew who that was. IN NO EVENT SHALL CAROLYN WILHELM BE LIABLE FOR ANY INDIRECT, INCIDENTAL, SPECIAL, PUNITIVE, exemplary, INCREASED OR CONSEQUENTIAL DAMAGES, LOSS OF PROFITS, DATA, GOODWILL OR USE, INCURRED BY YOU OR ANY THIRD PARTY, WHETHER IN AN ACTION IN CONTRACT OR TORT (INCLUDING NEGLIGENCE AND STRICT LIABILITY), ARISING FROM YOUR ACCESS TO OR INABILITY TO ACCESS, OR USE OF, THIS SITE, EVEN IF CAROLYN WILHELM HAS BEEN ADVISED OF THE POSSIBILITY OF SUCH DAMAGES. Without limiting the generality of the foregoing, under no circumstances shall CAROLYN WILHELM or any other party involved in creating, producing, or distributing this Site be liable for any direct, indirect, incidental, special or consequential damages or loss of profits, good will, use, data or other intangible losses (even if advised of the possibility of such damages) that result from (a) any delay, failure, interruption or corruption of this Site or any data or information transmitted in connection with the use of this Site; (b) personal injury or death caused by your use or misuse of this Site; (c) the cost of procurement of substitute goods and services resulting from your use of any goods, data, information or services purchased or obtained or messages received or transactions entered into, through or from this Site; (d) unauthorized access to or alteration of your transmissions or data; and (e) any other matter relating to our Site. You hereby acknowledge that this paragraph shall apply to all nutraceuticals, products, and services available through this Site. Because some states do not allow the exclusion or limitation of liability for consequential or incidental damages, in such states, liability is limited to the fullest extent permitted by law. Notwithstanding the above, CAROLYN WILHELM sole liability for any reason to you, and your sole and exclusive remedy for any cause or claim whatsoever, shall be limited to the amount paid by you for any product, information or service purchased by you from us through this Site. Use of this Site is governed by Minnesota, USA, law. Any claim related to the Site and any product purchased through this Site shall be brought in a federal or state court within one (1) year after the claim arises. Users of this Site consent to the jurisdiction and venue of such courts as the most convenient and appropriate for the resolution of disputes concerning this Site. CAROLYN WILHELM may change these Terms from time to time. Please review these Terms periodically for any updates after May 24, 2018 or changes. Your continued use of this Site following the posting of any update after May 24, 2018s or changes to these Terms constitutes your acceptance of such changes. If you object to any provision of these Terms or any subsequent modifications to these Terms, your exclusive recourse is to immediately terminate use of this Site. CAROLYN WILHELM also reserves the right to modify or terminate your access to the Site (or portions of this Site) at any time, temporarily or permanently, with or without notice to you. CAROLYN WILHELM may also impose limits on certain features, services or all of this Site without notice or liability. You acknowledge and agree that CAROLYN WILHELM will not be liable to you or any third party in the event that CAROLYN WILHELM exercises its right to modify or terminate access to this Site or portions of this Site. This message is in everyday language and the best I can do for what I understand I need to share with users of my site. You are not sharing much with Wise Owl Factory, possibly only your email. Free Instant Download Users: You are sharing no information and there are few 3rd party cookies on the Wise Owl Factory site other than for you to to be able to log in with our membership software. Free eMembers: The only information collected is your name and email address which is stored in Amember and is never used for any purpose other allowing you to log in to our free area on this site. Your email is never shared. Premium eMembers: One single payment ever is made through Pay Pal or Stripe and only those financial companies keep your financial information. Your email only is shared with Wise Owl Factory. You may set your own login and password by following the instructions from the emails (which may appear in your spam or promotion folders even if you communicate with Carolyn). Wise Owl Factory does not collect or save any payment information. There is no yearly fee. Wise Owl Factory is able to see how many visits and downloads the site has had through Google Analytics, but no personal information is collected. No identifying information is saved. NOT FOR COMMERCIAL USE, Teacher and School use permitted. Please do not post these pages on your site. I do find my materials on sites that request credit cards or charge fees, and that is ILLEGAL. Each lesson or file is for one teacher or parent to use in his or her own classroom or home. Files and lessons and photos may not be uploaded to sharing sites, school district blogs, or any online site. Please write for permission to place on private/school district Moodles or Servers. Schools may only post these materials behind login or firewalls, not on public pages, and only with permission. If you like the lessons please tell others by sharing links to pages so others may download the lessons individually as well. Please see Disclaimer and Copyright information, below. COPYRIGHT INFORMATION Wise Owl Factory Carolyn Wilhelm, 2000-2017. Unauthorized use and/or duplication of this material without express and written permission from the owner of Wise Owl Factory is strictly prohibited. One picture with a link back may be used provided that full and clear credit is given to Wise Owl Factory and with appropriate and specific direction to the original content. Copying a post partially, or fully, is strictly prohibited. These printables are provided FREE of charge. Please do share my printables. But please remember that all of my printables are for personal use. You cannot claim these printables or sell them as your own. All the printables and pictures are the property of Wise Owl Factory. Download the files to your computers and print them off for personal use and in a group or class setting. Direct people to the blog or pages when sharing with others. 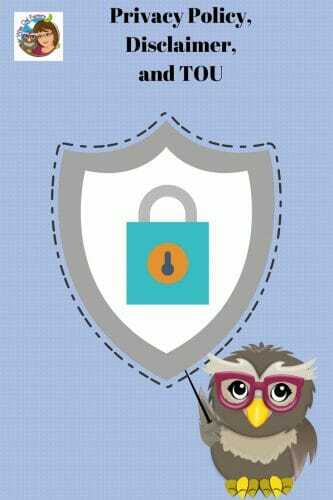 Give credit proper back to Wise Owl Factory when blogging about our files. Link directly to the pdf file without MY permission. Alter my files in any way. Seek to use these to drive traffic to your site or sell them in any way. Print off and sell them to others. Use these files to collect “free” credit card numbers. Please read over these articles about Fair Use. Please remember, this is about being Honest. I reserve the right to change this policy at any time. shared worldwide for free, so don’t do that! The purpose of the Wise Owl Factory Educational Sites and Blog is to provide support for busy teachers. The lessons and materials on the Wise Owl Factory Educational Sites and Blog are intended to be for educational purposes only. The site is intended for teachers and parents. All members who participate in the Wise Owl Factory Educational Sites and Blog do so voluntarily and at their own risk. The Wise Owl Factory Educational Sites and Blog shall not be responsible for any damages or liability of any kind whatsoever arising out of the use of PDFs, Power Points, Notebook Files, Media, Videos, and Word Docs. We will not provide technology help. By using this website, you specifically waive any right to make a claim against the Wise Owl Factory Educational Sites and Blog. All Content contained of the pages within this website is copyright Wise Owl Factory 2000-2017 by Carolyn Wilhelm, all rights reserved. I give you the permission to download, print, and use these materials in a classroom or home setting. Please respect my rights and do not publish any material on this site as your own. Do not copy and paste content from these sites onto your site, including school websites. The art is all single user license and you do not have the same licenses for my art. Thanks! By using these sites you acknowledge you have read the above information. You further acknowledge that this Agreement constitutes the entire understanding between you and the Wise Owl Factory Educational Sites and Blog with respect to all matters addressed herein. Thank you for understanding. Furthermore, the clip art is licensed through MANY sources, and copyright regarding licensed clip art should be followed. This is the link to all the artists and tech help contributing to this blog and my web site. This blog is a personal blog written and edited by me. For questions about this blog, please contact Carolyn Wilhelm. The owner(s) of this blog is not compensated to provide opinion on products, services, websites and various other topics. The views and opinions expressed on this blog are purely mine. If we claim or appear to be experts on a certain topic or product or service area, we will only endorse products or services that we believe, based on our expertise, are worthy of such endorsement. Any product claim, statistic, quote or other representation about a product or service should be verified with the manufacturer or provider. In a few instances I have received a free book or toy for which I wrote a post and then donated the items to schools in Grand Marais or in Minneapolis, MN. 1. No purchase of payment of any kind is necessary to enter or win giveaways. A purchase will not improve an individual’s chances of winning. There are no purchases available on this site. 2. Giveaways are open to readers within the US only and all entrants must have a US shipping address. [a] any late or lost entries; [b] telephone, electronic, hardware, software, network, Internet, or other computer or communications-related malfunctions or failures; any giveaway disruptions, injuries, losses or damages caused by events beyond the control of Wise Owl Factory or by unauthorized human intervention; or [c] any printing or typographical errors in any materials associated with the giveaway. 4. All entries must be received by the entry deadline date to be considered eligible. Winner must respond within 48 hours of announcement or a new winner will be chosen. 5. All federal, state, and local taxes associated with the receipt of the prize are the sole responsibility of the winner. 6. Winner may not substitute prize. Wise Owl Factory or its sponsors may substitute a prize of equal or greater value in the event the prize is not available. 7. In the event of a dispute as to the ownership of any entry, the person whose name appears on the entry form associated with the prize number for the winning entry will be deemed to be the winner. It is your responsibility to control access to your email account. In the unlikely event that the winning prize number is duplicated, or a similar error occurs, Wise Owl Factory may conduct a random drawing among such inadvertently duplicated numbers or apply another equitable remedy in its discretion to determine the winner. Decisions made by Wise Owl Factory are final. By entering the giveaway, you agree to be bound by the decisions of Wise Owl Factory and these official rules. You and your entries may be disqualified if you attempt to circumvent these official rules. 8. Entering the giveaway constitutes permission to use the winner’s name for promotional purposes. 9. Entering the giveaway releases Wise Owl Factory from any liability whatsoever and waives any and all causes of action related to claims, costs, injuries, losses or damages of any kind in association with the giveaway, the prize, and the delivery and uses of the prize.